You can easily add the data from your club programme to your smartphone, tablet device or computer - just follow these easy steps. I'm using Google Calendar for this - but the process will be similar for other programmes. In the member's area, click the 'future programme' menu, then click on the calendar icon, as shown below. this will create a file in the format Rotary1103.csv, where 1103 is the ClubID number of your club. Save this file in a convenient location. 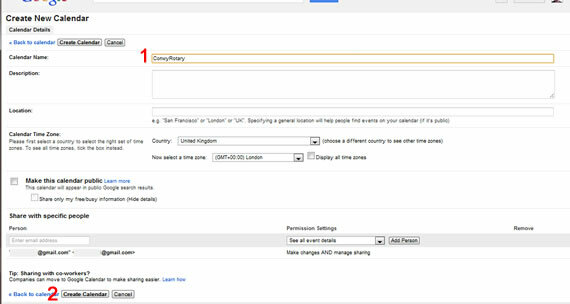 (You can then use the csv file to import into Outlook or a number of different programmes). 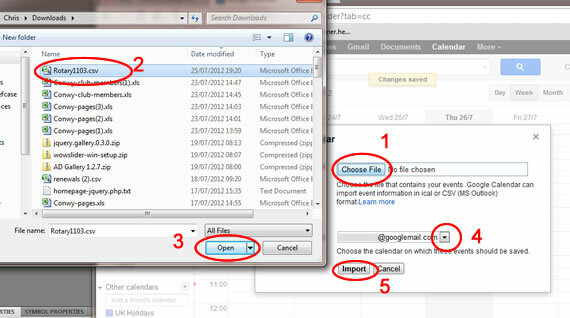 If doing the first option, ignore the next couple of screenshots below and import the file to your existing calendar. In the screenshot below, you can see that at (1) the ConwyRotary calendar has been created. That's it! 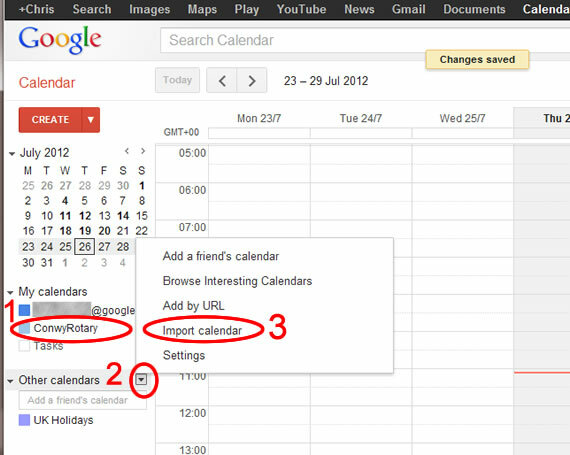 After a few moments you will be able to see the club programme on your Google Calendar. To view it actoss all your devices, e.g. Android tablet, i-Phone etc, you will need to synchronise (NB - settings vary - I needed to state that I wanted the ConwyRotary calendar to be included in the synchronisation).